February 6, 2019 – NASA’s Kepler space telescope may be retired, but the discoveries continue to rack up for this historic planet-hunting mission. Kepler rang in the new year with several new planet discoveries, including a previously overlooked planet of an unusual size, as well as a super Earth and a Saturn-sized world orbiting a Sun-like star. In the meantime, the Kepler mission has released its final record of the spacecraft’s full field of view before the depletion of fuel permanently ended its work. NASA retired the spacecraft on October 30, 2018, to a safe orbit. 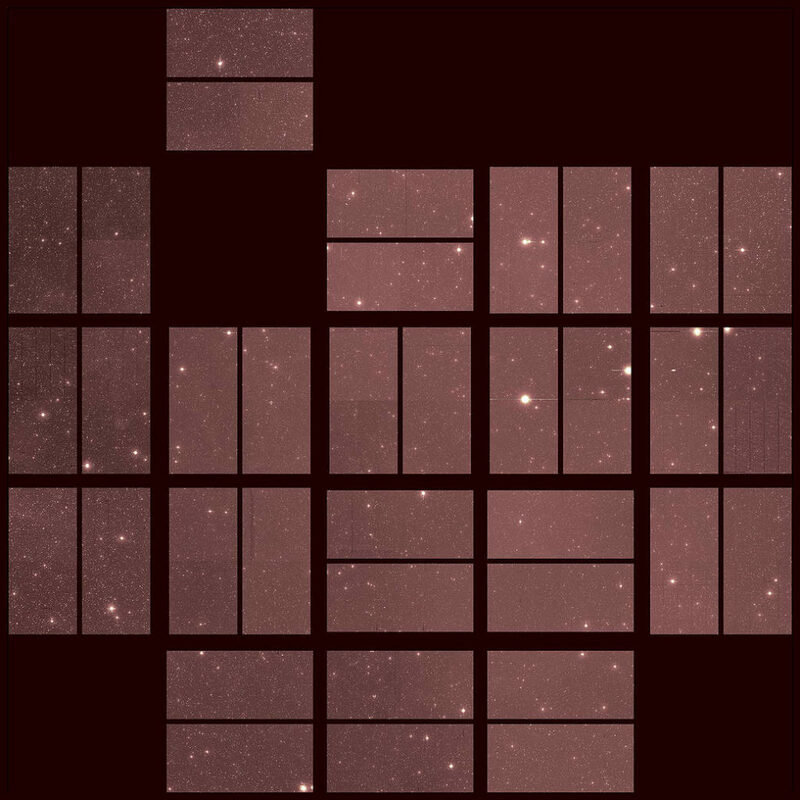 The “last light” image taken on September 25 represents the final page of the final chapter of Kepler’s remarkable journey of data collection. It bookends the moment of intense excitement nine and a half years earlier when the spacecraft first opened its eye to the skies and captured its “first light” image. Kepler went on to discover more than 2,600 worlds beyond our solar system and statistically proved that our galaxy has even more planets than stars. In addition to the static snapshots Kepler routinely took of its full field of view, the telescope’s camera also recorded selected targets at 30-minute increments. These continued for another several hours after the “last light” image before data collection ceased. The target data is obtained to measure the change in brightness of the stars, essential for discovering planets as they transit the faces of their stars and for understanding other aspects of stellar behavior. The motion of the stars in the videos are due to decreasing thruster performance caused by near fuel exhaustion. NASA’s Ames Research Center in California’s Silicon Valley manages the Kepler and K2 missions for NASA’s Science Mission Directorate. NASA’s Jet Propulsion Laboratory in Pasadena, California, managed Kepler mission development. As mission prime contractor, Ball Aerospace & Technologies Corporation built the Kepler spacecraft and its photometer. Ball also supported Kepler’s on-orbit operations, which were conducted from the Laboratory for Atmospheric and Space Physics at the University of Colorado in Boulder.